A heart warming tale for the Winter Solstice. This is my little dog. 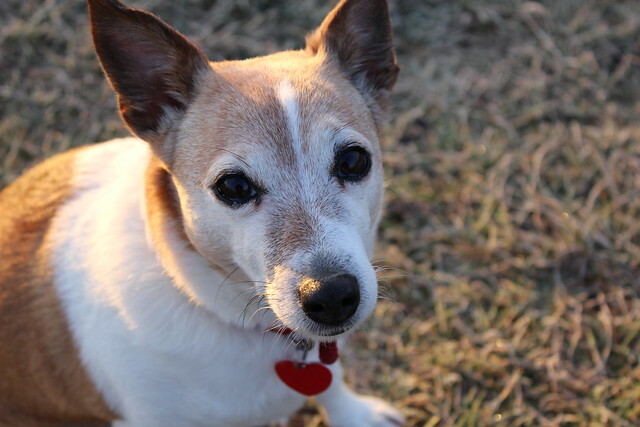 She is a Jack Russell Terrier, nine years old. Very adored, a little bit nervous and kind of spoilt. Last nights tale. She is rather fond of sleeping under the duvet, under anything really. Any piece of clothing put down or left astray and she will find it. Do her funny little turn around dance and lie on it or under it. Last night in the middle of the night she jumped up onto the foot of the bed and commando style wriggled up under the covers. Except this time she had managed to actually climb inside the duvet cover. I don't know how! She had made her way to the top of the cover but couldn't get out. A very baffled dog.....she didn't think to go backwards. In the meantime I'm trying to stay asleep, but know what's happened, because somehow it's happened before. Of course then I had to fling back the quilt, open up the duvet and pull this little dog out. Because that's what friends are for!